SAN JUAN (DIRECTV Liga Sudmaericana 2016) - The International Basketball Federation in the Americas announced the groups and the venues for the next phase of the DIRECTV Liga Sudamericana 2016. Confirmado: ¡Santiago del Estero y Maldonado serán sedes de la Fase Semi-Final de la #LSB2016! The team that finishes in the first position of each Semi-Final Group will advance to the Final of the DIRECTV Liga Sudamericana 2016 to be played in a best of 5 game series in a home and away format. "We will start where we finished the group stage of this DIRECTV Liga Sudamericana 2016, in Santiago del Estero, Argentina after a great group that served us as a prelude to what we are confident will be a high level Semi-Final Phase," said Gerasime Bozikis, President of the South American Basketball Association (ABASU). "In the same way, to announce Maldonado as the venue for our second group is a great joy because it represents the arrival of our competition to one of the tourist capitals of our continent in a group that has as host Hebraica Macabi, a club with more than 75 years of history. This undoubtedly will be an historic event." he added. 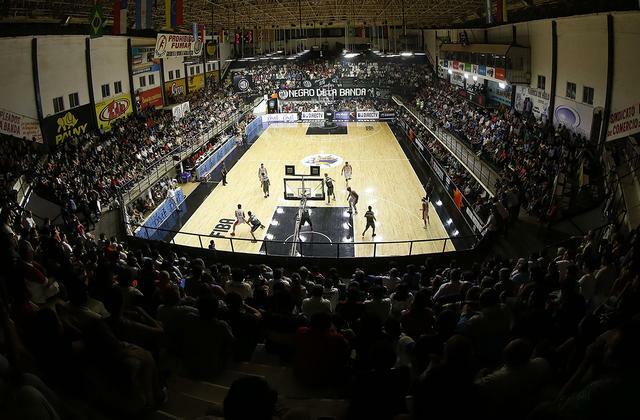 "The DIRECTV Liga Sudamericana 2016 will feature two incredible and decked out groups that will show the best basketball our region has to offer," He concluded. The winner of the Liga Sudamericana will lift the Horacio Muratore Cup, which bears the name of the President of the International Basketball Federation, who was a founder of the DIRECTV Liga Sudamericana in 1996. UniCEUB/BRB of Brazil is the defending champion of a competition that has been dominated by Argentine (12 titles) and Brazilian (8 titles) clubs in its 20 editions. For more coverage of the DIRECTV Liga Sudamericana visit ligasudamerica.com and follow us through our social networks accounts, @ligamericas.